Supporting magnet send off with a hospital partner. ABC7 recently had a segment, highlighting neonatal alcohol syndrome and infants who struggle during drug withdrawal. Our team member, Becca, was shown providing music therapy to these infants in the NICU at Central DuPage Hospital. We were happy to participate in this very important story! 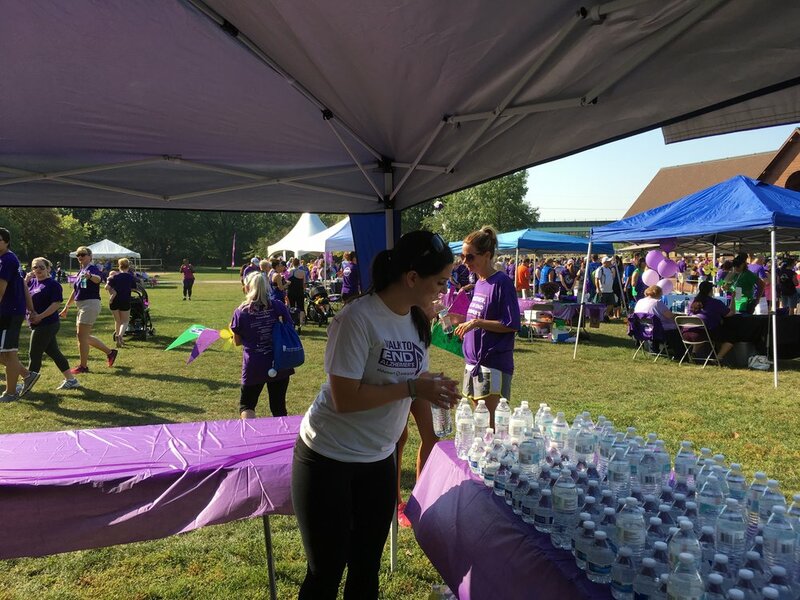 This September, some of our team members volunteered with the local "Walk to End Alzheimer's" in St. Charles, Illinois. We bumped into many friends, client families, and had a great time meeting others who are passionate about raising funds for awareness and research. A great day and such a great cause. We finally have some clinic space and are opening up neurologic music therapy services for private clients and some groups too.